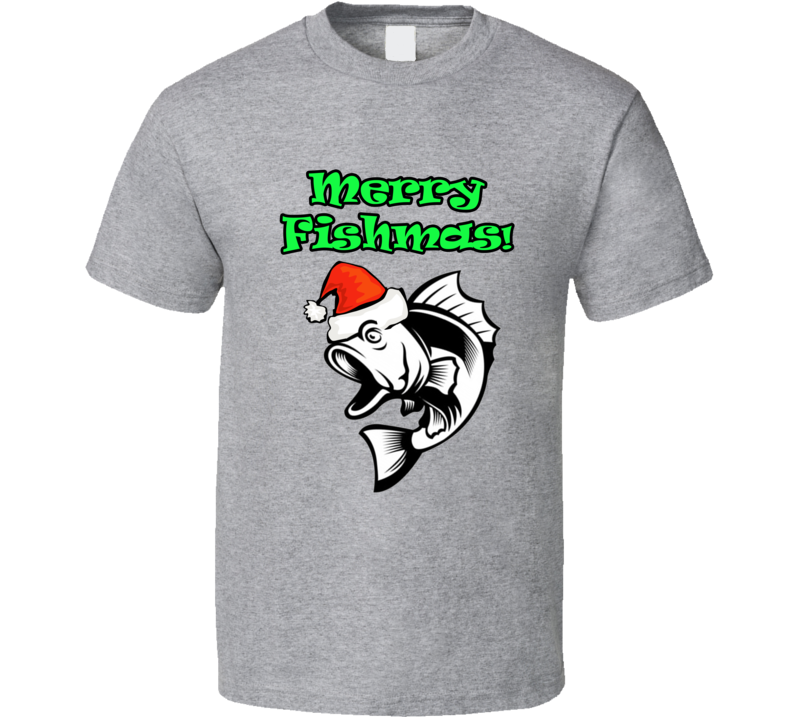 Order this essential Merry Fishmas Fishing Gift T-shirt here today! 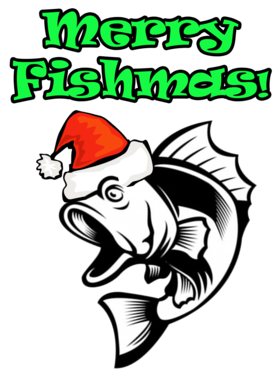 This Merry Fishmas Fishing Gift T-shirt is available in various colors and styles including Standard, Mens, Ladies and Kids Tees, V-Necks, Tank Tops, Babie One-piece "Onesies", Hooded Pullovers and Barbecue Aprons perfect for Barbeque Season! All variations you quality graphics on pre-shrunk, ringspun cotton that looks and feels great! The image is printed using the latest direct-to-garment technology. This site has the perfect shirt for everyone whether you're shopping for yourself or looking for gift ideas for everyone on your shopping list! Check the site for other shirts for sports and entertainment fans, Christmas, Back-to-School, Halloween, St. Patricks Day, Mother's Day, Father's Day... you name it!